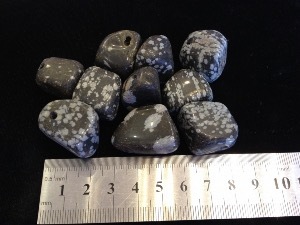 Snowflake Obsidian is black with light patches, formed where the glass has become devitrified around detectable points. When polished, the light patches resemble snowflakes. 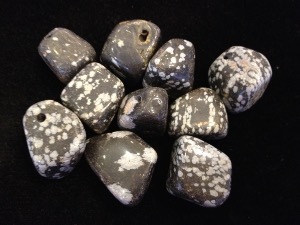 Snowflake Obsidian is said to calm and soothe, putting you in the right frame of mind to be receptive before bringing to your attention ingrained patterns of behaviour. Considered the stone of purity, providing balance for body, mind, and spirit.